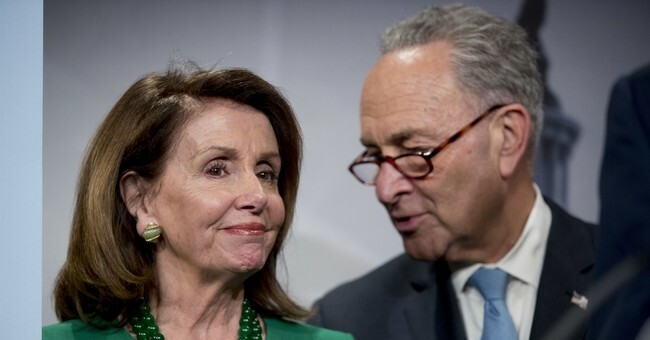 It’s been said before: the only thing that could potentially stop the Democrats from retaking the House is…the Democrats. Yet, there are other factors. First, is that Election Day was still far off when reports of record enthusiasm on the Left was reported. Second, there’s the continued positive news on the economic front. Consumer and small business confidence remains at record highs. Over three million workers benefitting from Trump’s tax bill, along with over 250 companies. Now, at the same time, we still have a long ways to go, but polling shows that Democratic enthusiasm has cratered. The ballot advantage for Democrats has also shrunk within single-digits—all of this is good news for the GOP. What we should be mindful of is the far left insurgency. The Democratic establishment has been brutally beaten by the far Left in the past couple of primaries, though they had a lackluster turnout in the Texas runoff. Nevertheless, this is where the Democratic Party is heading. All the more reason for why GOP voters need to turn out in 2018. National Democrats, confronting mushrooming political chaos across Southern California, are pouring millions of dollars into congressional races to avert a self-inflicted disaster that could undermine their chances at taking control of the House. After months of optimism that the state’s June 5 primary would position them to pick off seven Republican-held districts in November — a substantial down payment on reclaiming the House — Democrats are now trying to ensure that they do not hurt themselves because of their unusually crowded slates of candidates. With so many Democrats running, the party’s fear is that the vote will be splintered, allowing Republicans — who have fewer candidates — to dominate some primaries. The party and allied groups are spending more than $4 million on just three campaigns, intervening in one contest to prop up a favored candidate; attacking a Republican from the right in another; and even reminding people not to waste their votes on “ghost candidates” who have dropped out yet remain on the ballot. As any progressive activist will explain through gnashed teeth, the head-snapping scramble is because of the state’s “top two” open primary system, which allows the two leading vote-getters — regardless of political parties — to advance to the general election. California voters head to the polls on June 5.